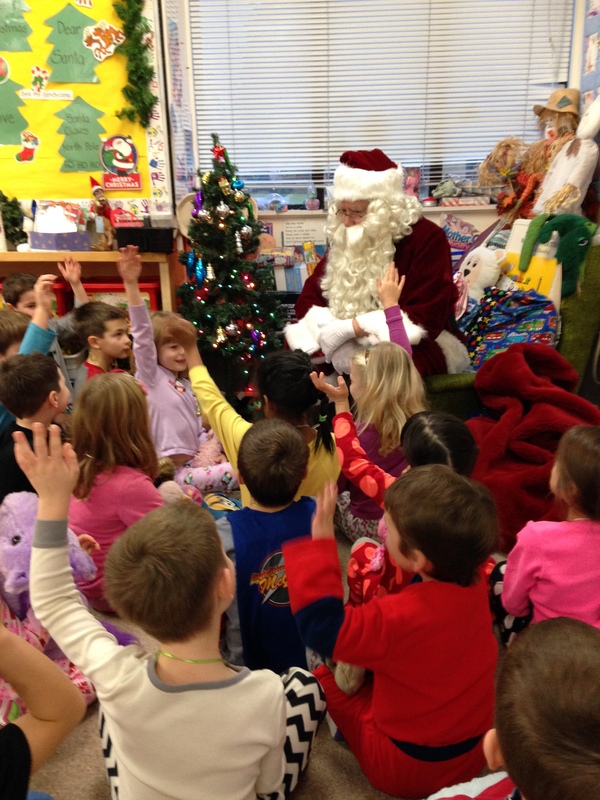 Santa | Mrs. Anton's Class! 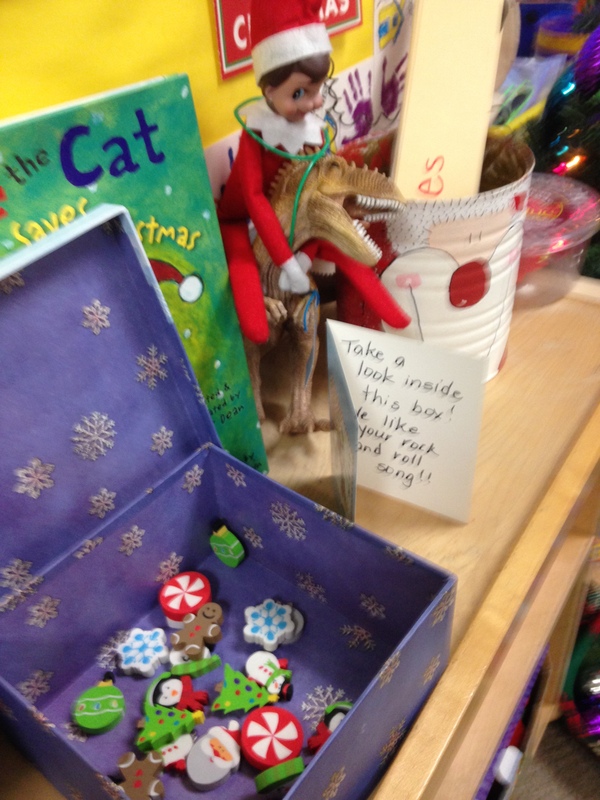 Sparkles, our Elf on the Shelf and Gus, our resident ghost and trickster have been leaving surprises all month. I decided to try to catch them in the act with the Santa Spy Cam app. We caught Sparkles’ friends in the act! You can see our classroom in the video! They left us a note! Too much fun! The Santa Spy Cam app is really cool. Take a look at this app at the app store or online and see the amazing things that are possible with this app! 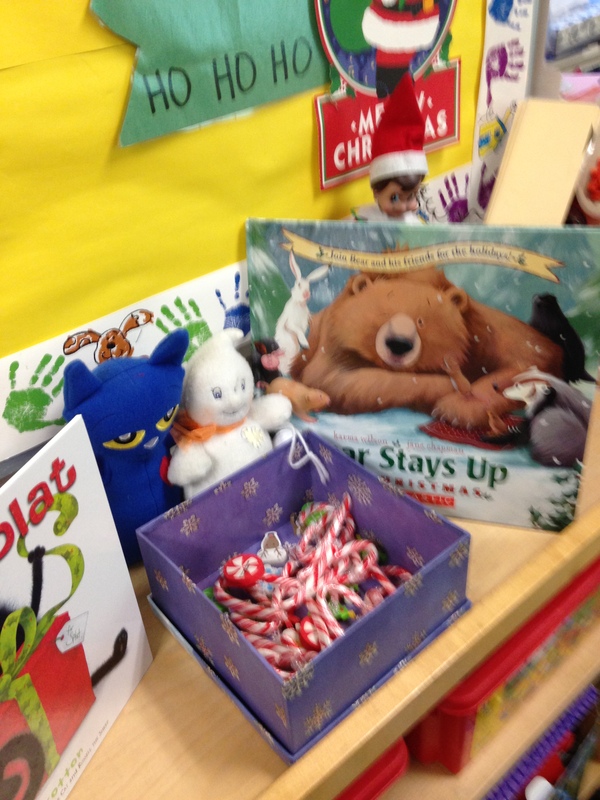 Here are a few of the treats left for us each day! 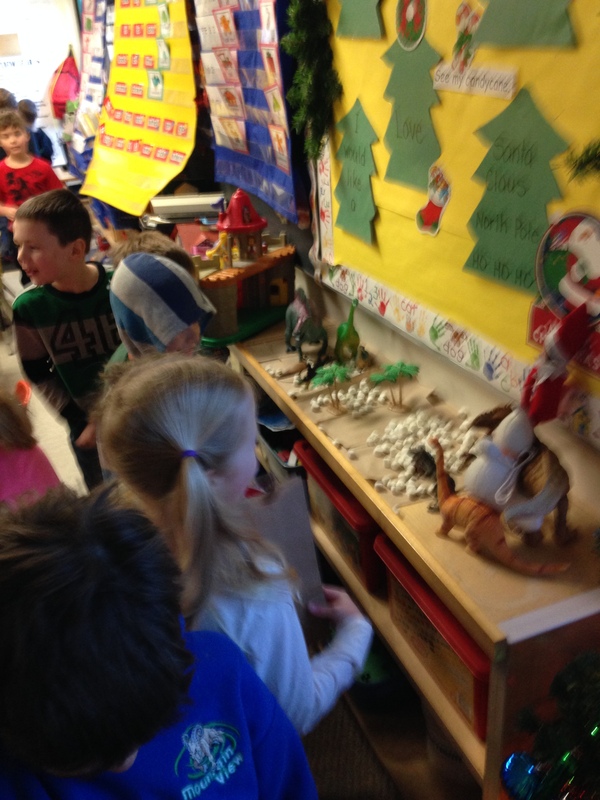 The students seemed to really enjoy the visit from Sparkles and rushed to find out what she had left for us each day! We will miss her! 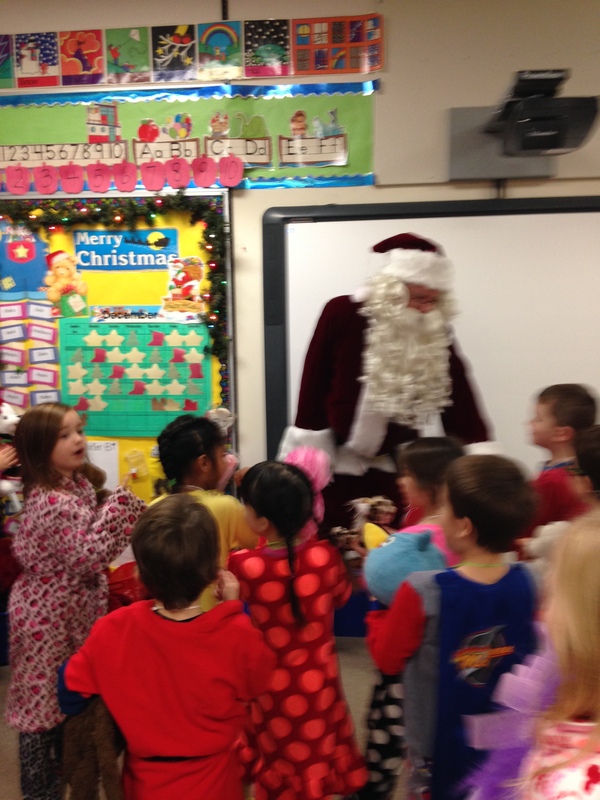 Santa and the Polar Express Day Fun! We had a great time on our Polar Express Day! 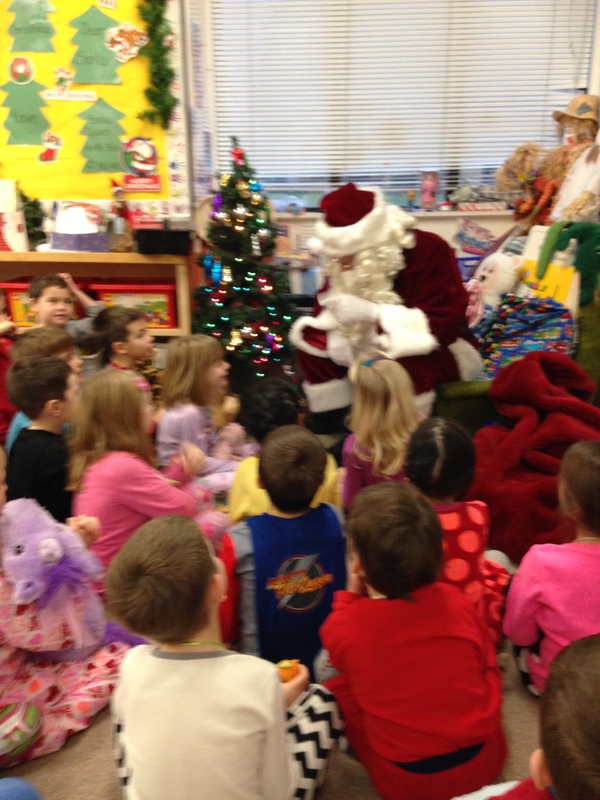 The day started off with a special visit from Santa! We had a great visit together! He wanted to hear the song we did for the Christmas concert! We gave him one of our guitars and we sang the North Pole Rock and Roll song together! Lots of fun! The other Grade One class joined us aboard the Polar Express with some very special Polar Express tickets! We had a great time together. We had hot chocolate with mini marshmallows and lots of amazing treats just like on the Polar Express. Thank you to all the parents who helped supply all the goodies this time! 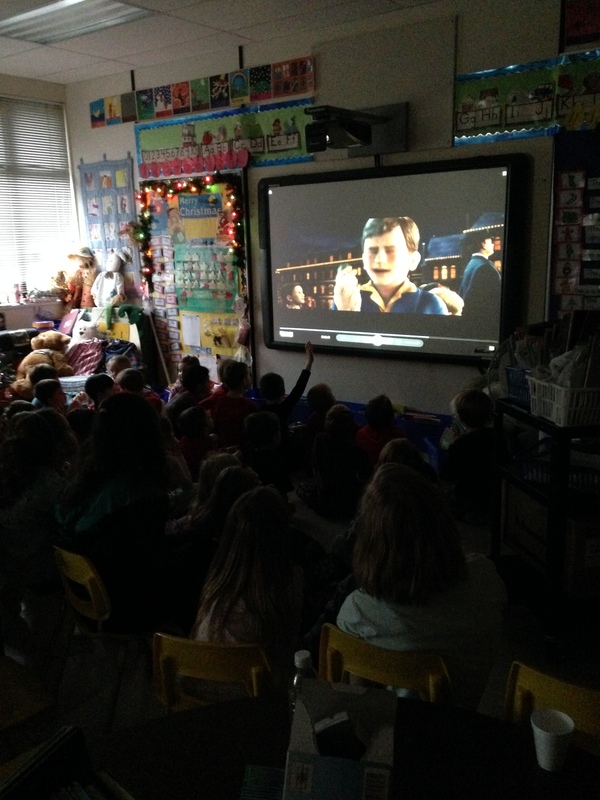 The two groups gathered on the carpet to watch the movie The Polar Express in the afternoon. It was a real treat to see it on our new Promethean board! 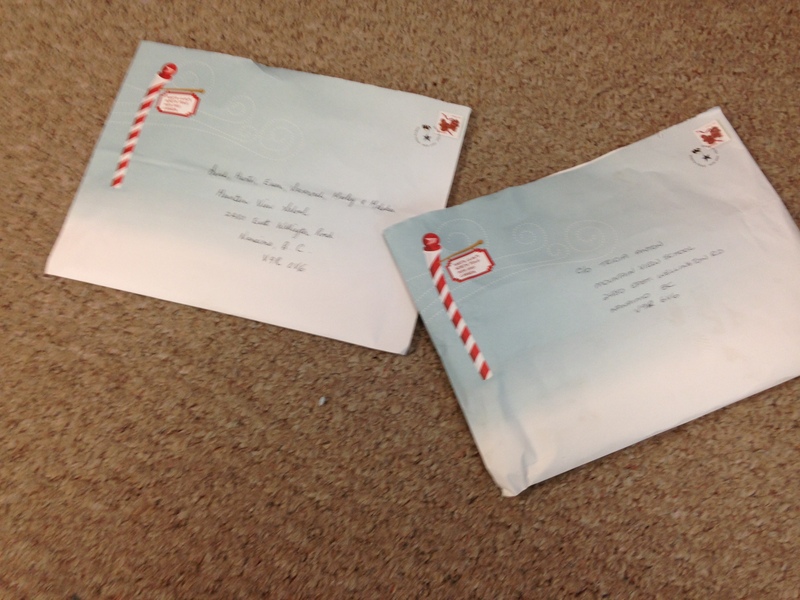 Here is a picture of the very important mail we received from the North Pole! Our buddies helped us write letters to Santa and our replies came to the school! Very exciting!